My love for you is indescribable! They are very popular, because what's this cute, your daughter with a mini-mama bracelet. 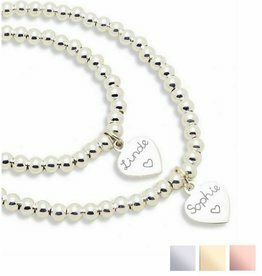 Specially designed to wear moments moments such as her first photo shoot, christening, wedding, communion or her birthday day. Door-and-door made of real silver, forever beautiful. Another daughter or extra bracelet for grandmother? Of course that's possible. Often this is an option in the menu, or chat with Tanja (bottom right) so that they can help your a-minute. The bestseller under the Silver Mom & Me Collection is the Key to My Heart Collection. On the baby bracelet is a key attached to that of Mama a lock. For example, your baby carries the key to your heart forever. How sweet is that ?! 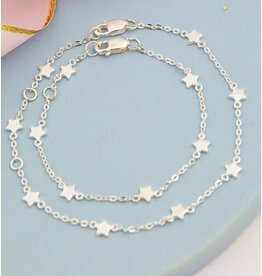 The prices of the silver mother daughter sets are a lot more advantageous than other jewelry brands with similar bracelets. This is because KAYA does not use expensive advertising, does not rent a studio and designs and purchases everything. Each piece of jewelry is packed luxuriously, just ready to give! Professionally made from the most beautiful freshwater pearls, precious stones and crystals and door-and-door silver. 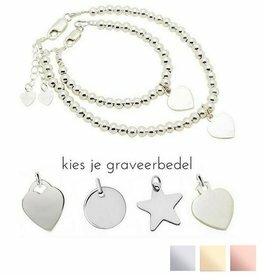 "Keep your loved ones close", this is what Tanja (designer) thought of when she designed the mom & me bracelets. "The comments were fantastic, all my friends wanted a set for themselves and their mini-me." How symbolic, mummy and baby the same jewel. Preferably a 3 generation set for grandchild, mum and grandma? Then click here. Due to the special meaning of the silver mother daughter sets, many customers ask if the set is also available for 2 adult ladies. Of course, that can be done at no extra cost! How it works: Click age 10-15 years old. In comments (this box will be added to the checkout), you want a women's bracelet instead of a bracelet bracelet (and indicate the size: small, medium or large). We will always confirm your request so that you are sure that you receive the correct measurements. 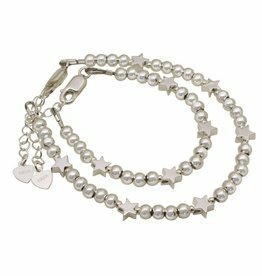 Do you want to add another charm to the silver mother daughter bracelets? Because all silver mother daughter KAYA handbags are made by hand, it is often possible to change a bed. So mix & match your own style! The most useful is to discuss this on the chat with Tanja (right bottom), then you have the correct answer. Then, submit your request to 'special request' at the end of the ordering process. 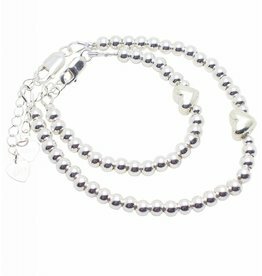 Check out our collection of silver mother daughter bracelets, there is something for you. The love between mother and daughter is forever! How true that is. Symbolize this feeling by this .925 silver bracelets. By-and-by sterling silver, forever beautiful. Through-and-through silver Armbandenset for mother and daughter, sisters or best friends. The gift is completely personalized by engraving on the front and back of the heart. Through-and-through silver Armbandenset for mother and daughter, sisters or best friends. The gift is completely personalized by engraving on the front and back of the infinity sign. Beautiful bracelets for mother and daughter. The links this bracelet is particularly suitable for our charms with carabiner. You hook the name as charms to the bracelet! And by the open links can also, if required, the length to make smaller. Beautiful bracelets for mother and daughter. And how sweet, the links for the girl just slightly smaller than that of mother. On either hangs a graveerbedel you can get customized as desired. Strong jasseron link bracelet with a gorgeous mint with sweet text. Choose one of the three beautiful lyrics. The coins are pre-engraved, so delivery in one day! Beautiful bracelets for mother and daughter. And how sweet, the links for the girl just slightly smaller than that of mother. On both hangs a graveerbedel + a fresh water pearl. Beautiful in its simplicity, this tough .925 silver bracelets for mother and daughter, BFF or sisters. To the side is meegeregen a beautiful heart, symbolic of your song full band. Made of 4mm silver balls in the 'Tiffany style.